Kids can be easy to shop for, as they normally see what they want on commercials or other advertising mediums. It’s shopping for adults at Christmas time that can be difficult and dreaded. What do you get as a gift for someone who doesn’t give you a list or says they don’t want anything? We’re here to share with you gifts for people of all ages that celebrate our great state of Michigan. Check out our Michigan themed holiday gift guide for 2017 below sorted by category. We are excited to share with you our newest giveaway as well so be sure to share this post and enter to win a Christmas gift for someone or for yourself. Beer Cap Maps – the perfect gift for the craft beer lover, a beer cap map is a fun way to save caps of favorite Michigan craft beers and display them in your home. 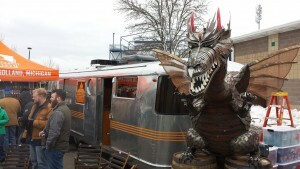 Two engineers from Wisconsin created these popular displays that now come in various sizes. 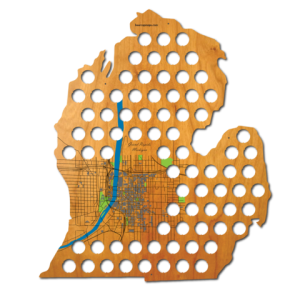 Check out the Michigan wooden maps that come as the Lower Peninsula that can hold 97 caps (19″ x 23″, $39) or both peninsulas (upper is 29″ x 13″, holds 30 caps) for $48. Mini Map Six Packs ($19.95) make great ornaments for the Christmas tree. The Beer Cap Map Metal State Maps are currently on sale for 40% off until they are sold out. 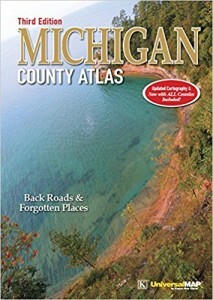 The Michigan lower peninsula is $29.95 and the upper peninsula is $19.95. 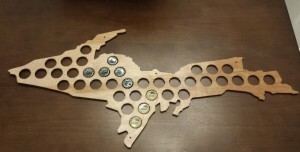 A small wooden Michigan beer cap map is available for $11 and holds a total of 14 caps in the two peninsulas. 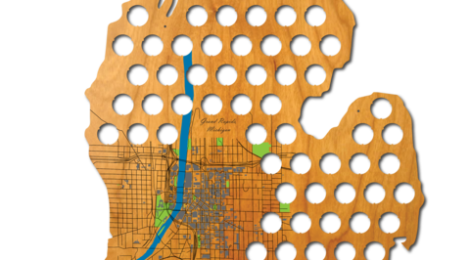 We are excited to also announce that Beer Cap Maps has introduced a new Wood City Map series. Grand Rapids (Beer City USA, as we like to call it) is one of 14 individual cities that is featured in the series. The map includes the lower peninsula and room to hold 78 caps. A zoomed in map of the city of Grand Rapids is featured in the middle of the map. This new map ($49) would make a great gift for anyone in Grand Rapids or a Michigan beer fan in general. We’re happy to share with our readers a discount code to get 10% off through the month of December and also have a giveaway for one of the Grand Rapids City Maps below. 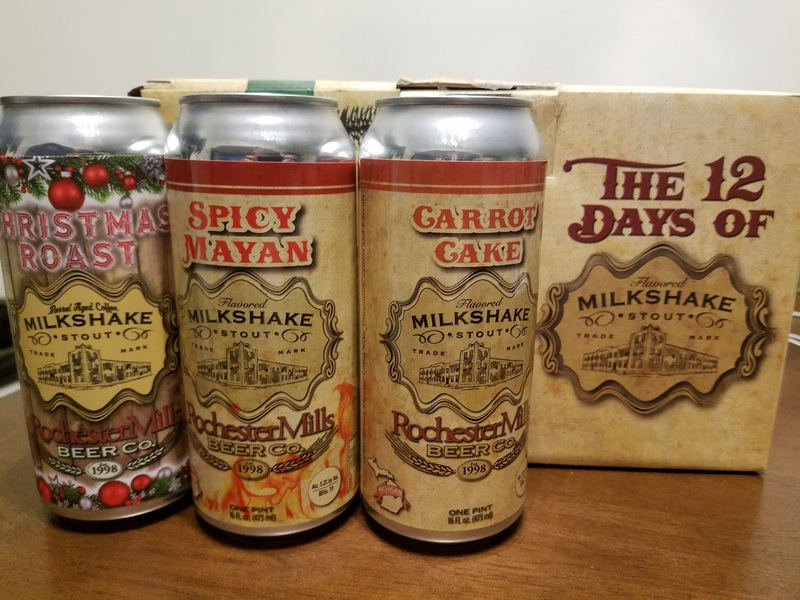 Discount code is BeerCityUSA. 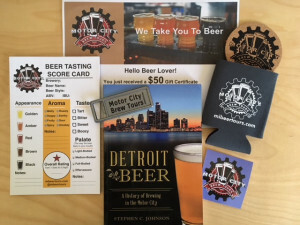 Tickets to the 2018 Michigan Brewers Guild Winter Beer Fest at Fifth Third Ballpark – We’ve had an absolute blast at the Michigan Brewers Guild Winter Beer fest the last two years (check out our 2016 and 2017 reviews) and would strongly recommend buying tickets for the craft beer lover in your life. 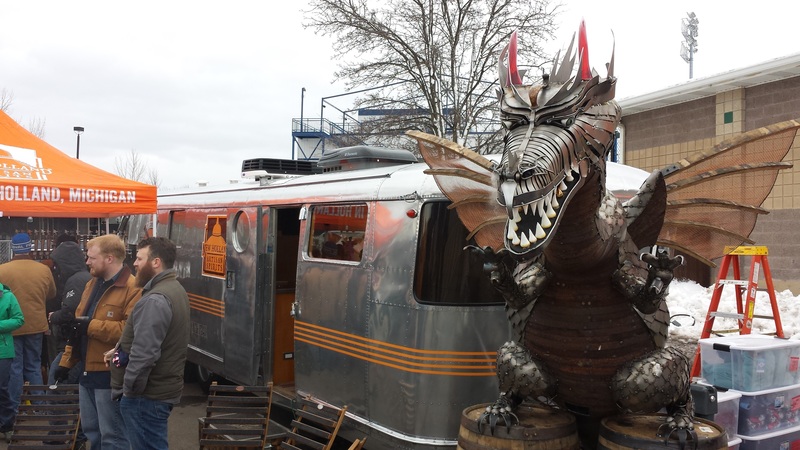 With roughly 120 breweries in attendance and close to 1,000 beers to sample this is an amazing event that will expose even the most seasoned beer geek to new brews. Find out more at http://www.mibeer.com/winter-festival. 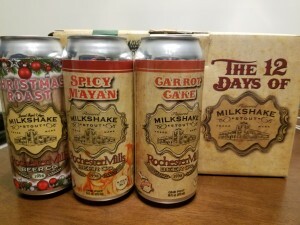 Beer gift sets – Rochester Mills has once again released their popular 12 Days of Milkshake Stout box, and in just the last few weeks we’ve seen gift sets from Perrin Brewing (No Rules + Malted Milk Ball + Glass), Short’s Brewing (IPA 12 pack), Atwater Brewery (Vanilla Java Porter + 3 variants pack) and New Holland Brewing (Dragon’s Milk + DM Variant + Glass) hit the shelves at local retailers. Stop in to Meijer or your local specialty bottle shop to check out all of the holiday offerings. 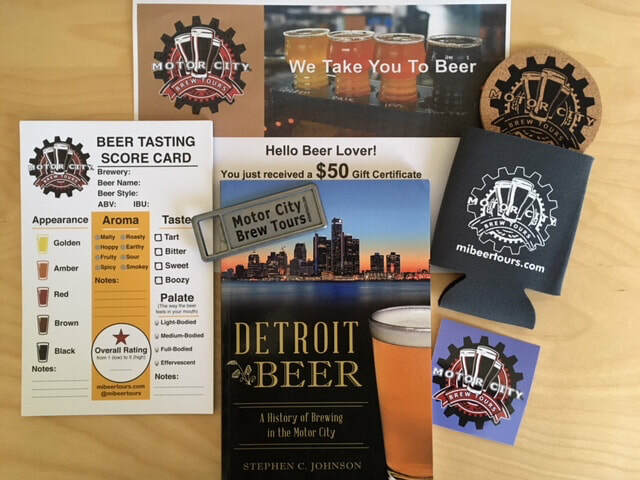 Beer Tours – Check out Motor City Brew Tours in Detroit, Grand Rapids Beer Tours and Beer City Runner in Grand Rapids, or the Brew Bus in Traverse City for gift options on beer tours – a great way to visit multiple breweries without having to worry about driving. Greta Van Fleet – It’s been a whirlwind 2017 for this rock band from Frankenmuth, as they saw the release of their Black Smoke Rising EP in April, performed on Last Call with Carson Daly, were named Loudwire’s Best New Artist, and released their double EP From the Fires in October. “Highway Tune” was a rock radio staple for much of the summer, and the band continues to sell out shows across the country. You can grab either EP on Amazon or iTunes. I Prevail – You can pick up a copy of Lifelines, the latest release from Detroit’s I Prevail, on Amazon or iTunes. The band recently took home a Loudwire Music Awards honor for best hard rock song of the year with “Alone.” I Prevail’s debut EP, Heart Vs. Mind, is also available. The band is currently wrapping up a tour with Escape the Fate, The Word Alive, and fellow Detroiters We Came as Romans (who also have a new album, Cold Like War). The Accidentals – Traverse City’s indie darlings The Accidentals have a sound that doesn’t fit in one genre, but will appeal to fans of folk, bluegrass, rock, jazz and pop. Their new CD Odyssey, is available at Amazon and other online retailers. You can catch them at Founders Brewing Co. Dec.30 and 31 this year, or grab tickets for their show at 20 Monroe Live in Grand Rapids next April. Bob Seger – Michigan rock legend Bob Seger may have had to recently postpone his Runaway Tran Tour concerts, but for those looking for some new classic rock from him, check out the recently released CD I Knew You When. Concert tickets – Who dosen’t love getting concert tickets for Christmas? Top events in 2018 include Blake Shelton, P!NK, Shania Twain, TimMcGraw/Faith Hill and Avenged Sevenfold/Breaking Benjamin/Bullet for My Valentine at Van Andel Arena in Grand Rapids. Little Caesars Arena in Detroit will host Shakira, Lorde, Sam Smith, Harry Styles, Maroon 5 and more. Rick Springfield, Boyz II Men, Gabriel Iglesias, Theory of a Deadman, and Jake Owen all perform at Soaring Eagle Casino in Mount Pleasant between now and the end of January. Tickets to Detroit Red Wings/Detroit Pistons – Why not take in a game at the brand new Little Caesars Arena if you haven’t already. The Red Wings may be struggling a bit now as they continue to work on rebuilding, but the Pistons continue to be one of the biggest surpsrises of the NBA season. 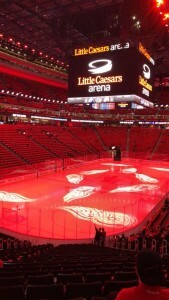 Grab tickets at Ticketmaster, http://www.nba.com/pistons/, or https://www.nhl.com/redwings. West Michigan Whitecaps Tickets – Next season marks 25 years of Whitecaps baseball, and right now the team is offering two different holiday ticket offers! You can choose from the Rudolph (12 tickets, $10 gift card, 4 Celebration! Cinema movie passes; $163 for a savings of $47) or the Santa (20 tickets, $20 gift card, 4 movie passes, 2 opening day reserved tickets; $255 for a savings of $80) through January 31st. After that it’s just a short wait of a few months before baseball season begins! 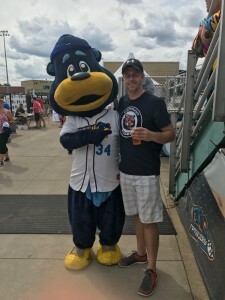 Kalamazoo Growlers tickets – Consider checking into a seven-game pack from the Kalamazoo Growlers, a Northwoods League baseball team that offers up non-stop family fun during the summer months. “The 2018 season is our 5-year anniversary in Kalamazoo and the team is planning something big. 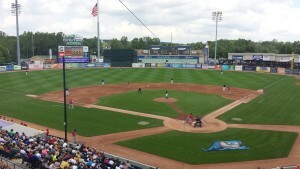 We are hosting the Northwoods League All-Star game and HR Derby, planning some major stadium improvements and bringing bigger and better entertainment every game. The team is currently signing up fans for the 2018 Priority List for the new Harding’s 7-Game Packs, 14-Game Plan, Half Season and Full Season Plans. With the All-Star game coming to Kalamazoo, we’ve increased the plan size to 7 games for our pack holders.” Find details at https://northwoodsleague.com/kalamazoo-growlers/. 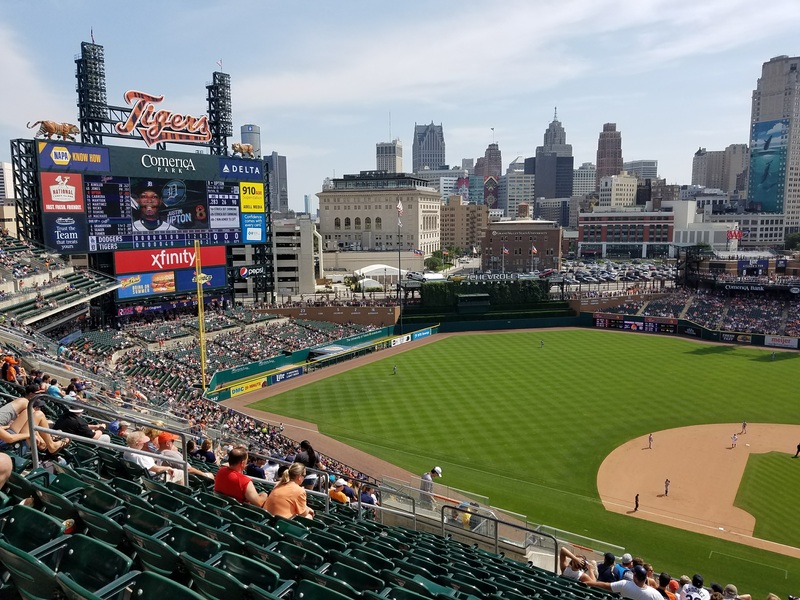 Detroit Tigers 1968 Ticket Pack – In 2018, the Detroit Tigers will celebrate the 50th anniversary of the 1968 World Series winning team. To celebrate, the team is offering an amazing ticket package for five special games. The package includes tickets to all five games and the associated giveaways for those nights. 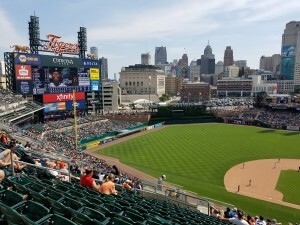 The games are: May 26th (Al Kaline bobblehead), June 2nd (Bill Freehan bobblehead), July 7th (Willie Horton bobblehead), August 25th (Mickey Lolich bobblehead), and September 8th (replica road jersey). These are all Saturday games. 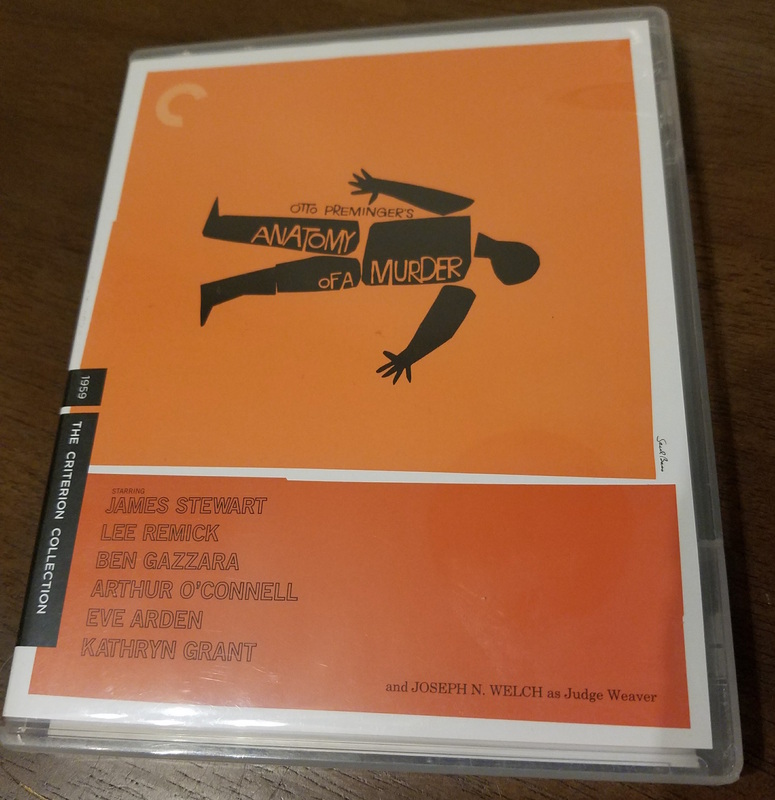 Anatomy of a Murder – This 1959 film starring Jimmy Stewart was filmed in Marquette County. Based on the novel of the same name which is based on an actual crime and court case in Michigan, Anatomy of a Murder examines aspects of the legal system including the temporary insanity defense, witness credibility, confabulated memory and more. 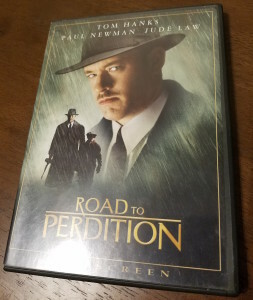 Also starring George C. Scott and featuring a soundtrack by Duke Ellington, it was filmed at sites including the Marquette County Courthouse, Thunder Bay Inn (Big Bay), and Mt. 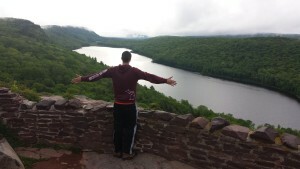 Shasta (Michigamme). The DVD is available online and in stores. 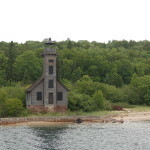 Find out more about other filming locations in our post about things to do between Marquette and Big Bay. Somewhere in Time – This classic romance film was filmed almost entirely on Mackinac Island. Though reception at the time was poor, it has since become a cult favorite and inspired fan gatherings at the island each year (Check out our list of film sites you can visit). 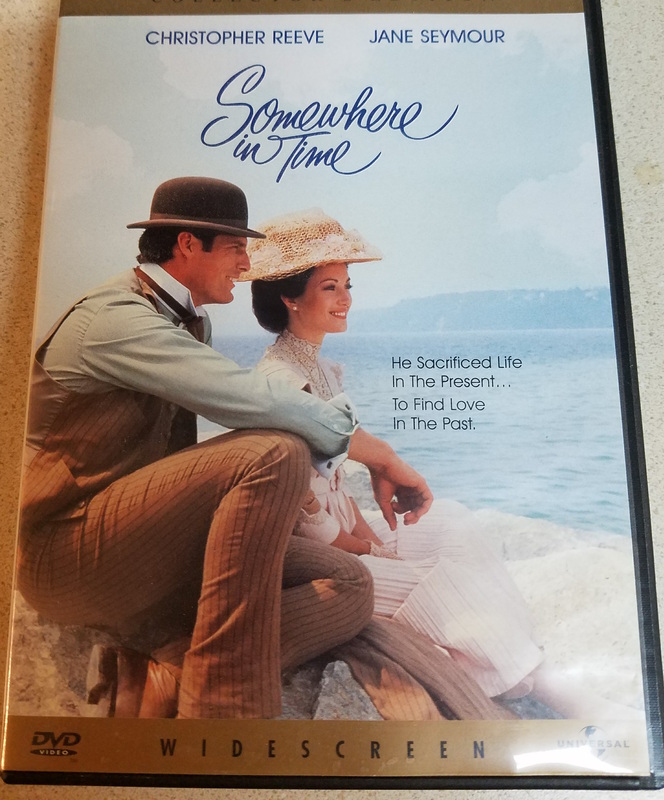 Starring Christopher Reeve and Jane Seymour, Somewhere in Time is “the story of a young writer who sacrifices his life in the present to find happiness in the past.” You can find the DVD online and in stores. Road to Perdition – A 2002 crime movie set during the Great Depression, Road to Peridition stars Tom Hanks, Paul Newman, and Jude Law. 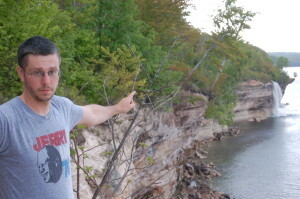 Scenes for the film were shot near Saugatuck (including Ottawa County Parks’ Olive Shores) . Find the DVD and Blu-Ray online and in stores. 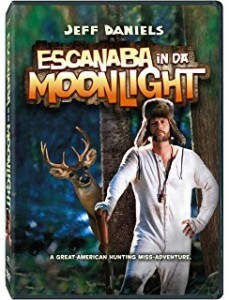 Escanaba in Da Moonlight – A 2001 movie starring Jeff Daniels, Escanaba in Da Moonlight is a comedy about hunting traditions that is set in the Upper Peninsula (where it was also filmed). Find the DVD on Amazon or other online sites. Mitten State – Head over to http://www.themittenstate.com/ to check out an awesome selection of Michigan-themed T-shirts. Jon loves his Gerald R. Ford shirt pictured above, and with plenty of shirts for fans of U of M, MSU, the Red Wings, Michigan beer and more there’s sure to be something here for even the toughest person on your list! Michigan Awesome – Two of Jon’s favorite apparel items are his “4 out of 5 Great Lakes prefer Michigan” t-shirt and his Michigan Awesome hooded sweatshirt (seen above). There are plenty of clothing options at https://www.michiganawesome.com/, as well as drinkware, car decals, Michigan-shaped cutting boards and more! Stormy Kromer – The iconic insulated cap is made in Ironwood in the Upper Peninsula (where you can also visit a large hat roadside attraction). 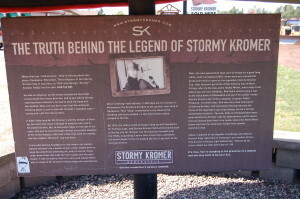 Check out https://www.stormykromer.com/ to see all of the hat and clothing options for men, women, and children. Their holiday gift guide is full of great products for staying warm and staying fashionable. 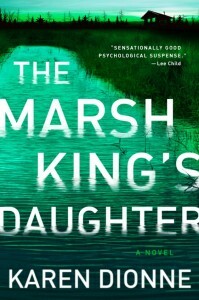 The Marsh King’s Daughter – Check out this new psychological suspense novel from Michigan author Karen Dionne. The book is set in the Upper Peninsula wilderness and uses Dionne’s own knowledge of the land and remoteness to craft the perfect setting for this highly acclaimed novel. The book has appeared on many bestseller lists around the world and is well-reviewed. Read more about Dionne’s years of living on 10 acres of land in the Upper Peninsula here. Karen Dionne is the international bestselling author of the dark psychological suspense novel The Marsh King’s Daughter (June 2017, G.P. Putnam’s Sons), and three other novels. She is the cofounder of the online writers community Backspace, the organizer of the Salt Cay Writers Retreat, and a member of the International Thriller Writers, where she served on the board of directors. She has been honored by the Michigan Humanities Council as a Humanities Scholar, and lives with her husband in Detroit’s northern suburbs. The book is available for sale on Amazon or at your local bookstore. 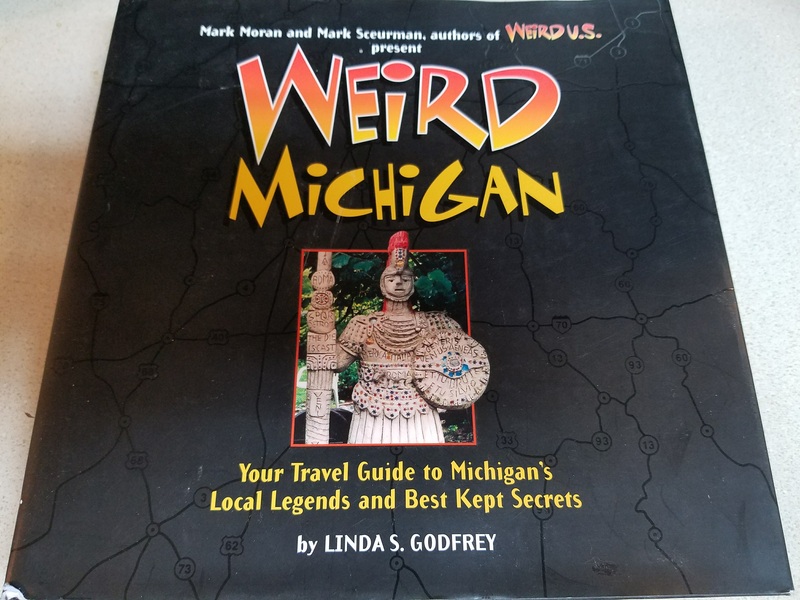 Books by Loreen Niewenhuis – If you’re looking for a great gift for someone who loves traveling in Michigan, check out the books by Loreen Niewenhuis. 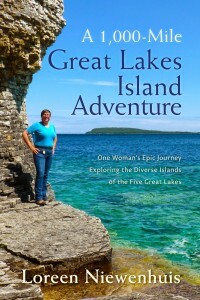 Her books highlight the great lakes, the islands, and the many hiking trails across the state. Niewenhuis was one of our featured authors in the My 5 Favorite Places in Michigan. The books are available to buy on Amazon or at your local bookstore. 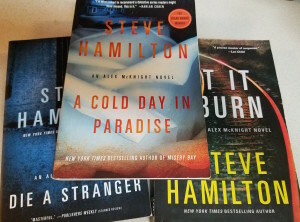 Alex McKnight mystery series by Steve Hamilton mystery series: Hamilton released A Cold Day in Paradise in 1998 to critical acclaim and multiple award, and he has since added nine more novels to a series focused on former Detroit police officer Alex McKnight. 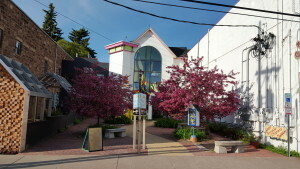 The books are all set in the Upper Peninsula (Paradise, Sault Ste. 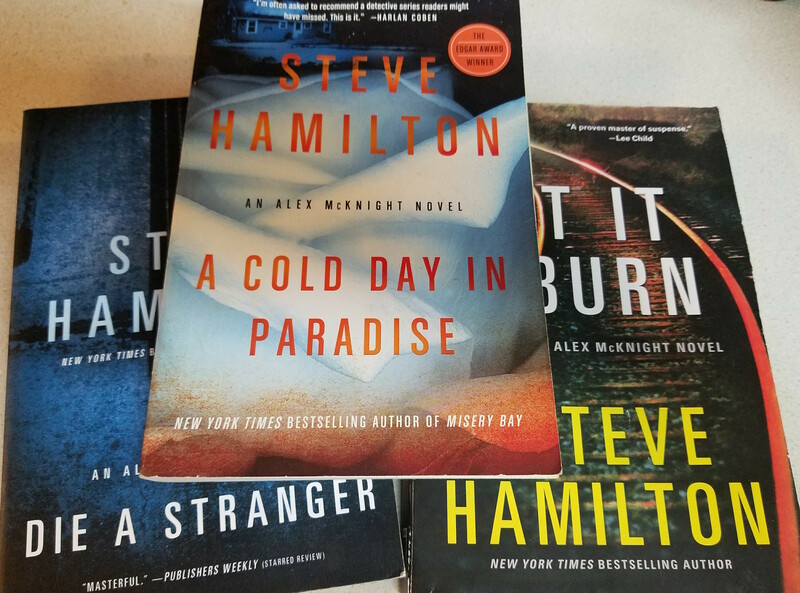 Marie, Houghton) and the Detroit area, and follow McKnight’s adventures with private investigating, international crime, revisiting cases from his past and more! With Hamilton’s impeccable attention to detail you’ll feel like you’re in the U.P. alongside McKnight. Other books include Winter of the Wolf Moon, The Hunting Wind, North of Nowhere, Blood is the Sky, Ice Run, A Stolen Season, Misery Bay, Die A Stranger, and Let it Burn – find them on Amazon or at a bookstore near you. 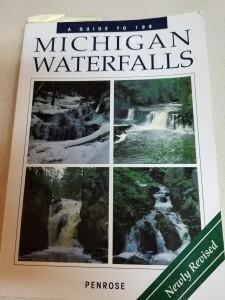 A Guide to 199 Michigan Waterfalls by Penrose: We refer to this as our “waterfall bible” and it has led us to some amazing falls across the Upper Peninsula. A revised edition in 2009 added color photographs and updated directions. My first copy is worn out and full of notes, and I’d gladly buy this book over and over again. A true must-have for Upper Peninsula trips, as you may not be aware of how many easy-to-find waterfalls you’re driving past on your way to Pictured Rocks or the Keweenaw Peninsula. 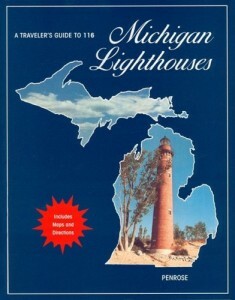 A Traveler’s Guide to 116 Michigan Lighthouses by Penrose: This is one of the books that started it all for us. Our dad became interested in lighthouses in the 1990s and this book helped get us to every one in Michigan we could find. Loaded with historical information, photos and easy-to-follow directions, this book remains the definitive guide to lighthouses in Michigan. 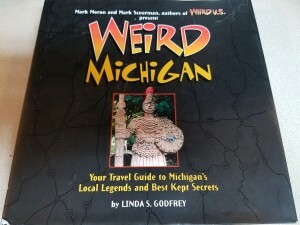 Weird Michigan by Linda S. Godfrey and Mark Moran: Great as a coffee table book and conversation starter, this full-color book features Michigan legends and lore, oddball roadside attractions, and more. Chances are you’ll want to make a road trip or two after reading about new and interesting places in this book! 50 Hikes in Michigan (Lower Peninsula) by Jim DuFresne: Featuring everything from walks and day trips to week-long backpacking excursions, this book features the best trails in the Lower Peninsula. Full directions to each starting point and well-measured waypoints are included, as DuFresne takes you to well-known state and national parks and hidden-gem wilderness tracts and national forest lands. 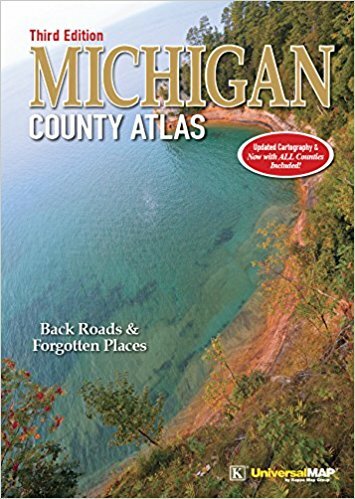 Michigan County Atlas by David M. Brown: In a time where many have GPS-enabled phones, the need for a good old-fashioned map may not seem to be there. In Michigan there are many places (especially in the U.P.) where a cell phone signal won’t reach or a GPS unit doesn’t cover, and that’s where this book comes in. We’ve found it to be a great aid in navigating back roads, and it also details each county’s history and notable historic locations. 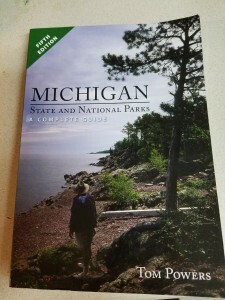 Michigan State and National Parks: A Complete Guide by Tom Powers: Our state’s amazing collection of state parks is given the royal treatment in this book, which also includes national parks like Isle Royale, Sleeping Bear Dunes and Pictured Rocks. Helpful information like numbers and types of campsites, hiking trail information, historical information and outdoor recreation sites make this a must-have for campers, tourists, and longtime residents looking to enhance their experience. Buy a Zoo Membership – One of the things you realize as your kids get older is how many toys they accumulate throughout the years. This comes from gifts they receive, toys you buy, and various prizes from fast food restaurants. A great alternative is to ask for experiences for your kids instead of toys during the holiday season. My family has bought a membership to John Ball Zoo in Grand Rapids for several years with money gifted to my boys at Christmas. 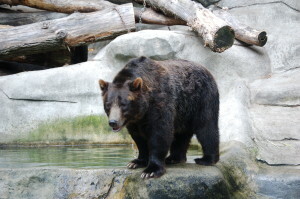 Memberships at John Ball Zoo range from $45 to $150 and include free admission throughout the year. The best thing about the zoo membership is its reciprocal program that gets you free or discounted admission to other zoos in the state. Be sure to check out membership rates for Detroit Zoo, Potter Park, and Binder Park Zoo as well. Give a gift membership or consider giving money towards a membership to a relative with children. 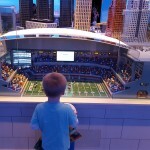 Sea Life and Legoland – If you live near Auburn Hills, investing in a combo membership to Sea Life Aquarium and Legoland at Great Lakes Crossing might be a great gift idea for your own family or a relative. This combo pass gives you free admission to both attractions for the whole year. Kids will spend hours in the two attractions and fall in love with all the hands on activities. Of course, you could buy an annual pass to either attraction as well. Also keep in mind that Sea Life is part of the zoo reciprocal program listed above, so if you have a zoo membership to any of the big Michigan zoos, you can receive half off your tickets at Sea Life. Another great reason to put a zoo membership at the top of your family’s Christmas list. 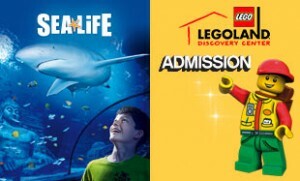 For more on these attractions, check out our reviews of Sea Life and Legoland. Children’s Museums – A holiday gift guide for families should include memberships to various interactive children’s museums around the state. The three big ones that come to mind are Grand Rapids Children’s Museum, Impression 5 in Lansing, and the Upper Peninsula Children’s Museum in Marquette. Artwork to hang – Maybe you’re looking for some artwork to hang on the wall of a family member’s home. Maybe you would love to give a gift that was part of an Artprize competition. 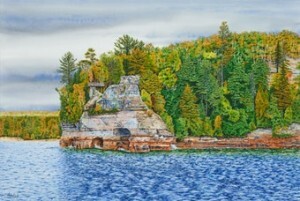 You can buy prints of this Pictured Rocks painting from Michigan artist Michael Ingle. 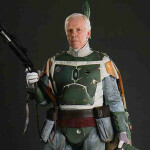 Check out more information on Ingle and contact information as well here.